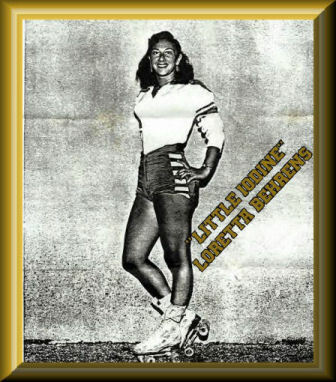 Welcome to Loretta Behrens' Roller Derby Memoirs! Within these pages, you will find the personal stories of many of the legends of roller derby, told mainly in their own words. As you read the various memoirs, you will be whisked back to the glorious past of the banked track sport. Return to a time when roller derby was among America's favorite sporting events, filling arenas from coast to coast and around the world. Share the joys and sorrow, the tragedy and the triumph, of some of the greatest names to ever grace a banked track. You will share memories of roller derby history with such legends as John Hall, Cliff Butler, and Loretta Behrens herself. There are many more luminaries, sharing their lives in roller derby, within these pages as well. You will want to read their words over and over again. The great skaters write with passion and a true love for the sport. For the banked track stars, being a part of roller derby was more than a job, or a sport. It was like their family. Step back into time, and feel the aches and pains of learning to skate the banked track. Share the joy of making the team and skating that first game in the big time. Experience the skaters' loves and heartaches, and the tears and laughter. Enjoy not only the remembrances of the skaters, but also from some of the many fans, who thronged to the arenas to cheer for their favorites. That fan love affair with roller derby, and its great skaters, has never faded with the years. If anything, it has grown ever stronger with the passing of time. Each story is special, and a lasting tribute to the great sport that is roller derby. To read any memory, simply click on a skater's first name. Since everyone here is part of the great roller derby family, all are on a first name basis. The warmest of welcomes to all.